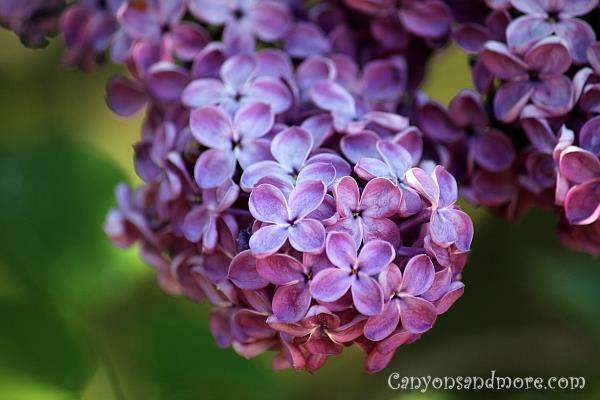 Imagine having a garden full of gorgeous purple flowers growing in it. There are so many shades of the color and it all harmonizes so well. These images purple flowers that were made while on walks throughout various locations in Germany. 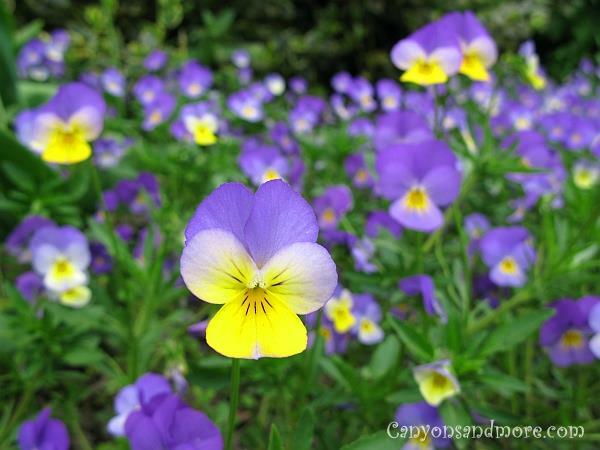 Each year when the snow melts, purple pansies sprout up all over the yard like in the image above. They are so small and delicate and seem to be here one of the first flowers to indicate that spring is near. Every year in May our lilac (Syringa) tree is in full bloom. The aroma of these flowers really fills the garden. The aroma is almost too strong to use these as a bouquet in the home. The scent dominates the whole room. 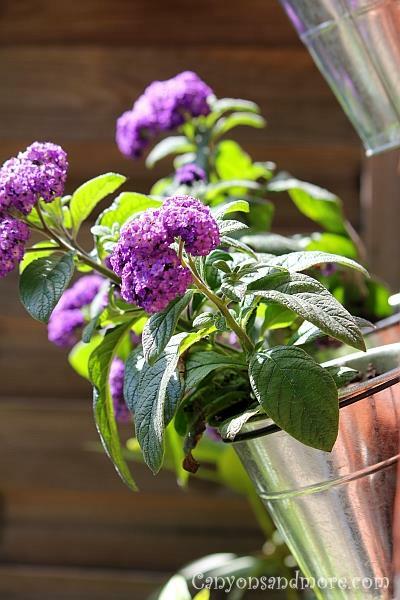 In Germany, the garden heliotrope is called “Vanilleblumen”, meaning vanilla flowers when translated. The name has a good reason as these flowers really have a strong flavour of vanilla and such a sweet aroma. Purple flowers have something majestic about them look at all the lovely shades of the color. 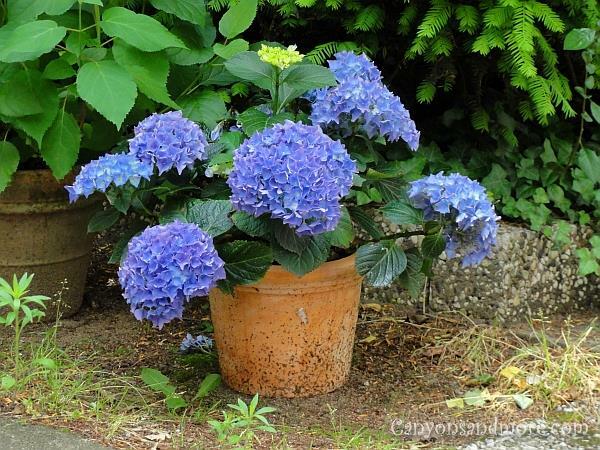 Hydrangeas are gorgeous summer flowers for the pot and look beautiful no matter where you place them. 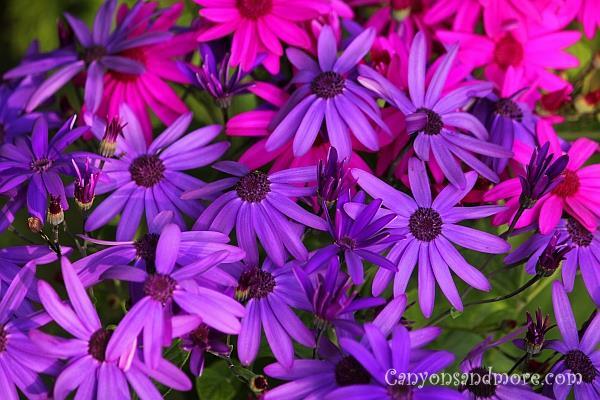 Vibrant shades of pink and purple are enough to add cheer to any garden. Spring is an exciting time of the year when the temperatures start to get warmer and the trees and flowers start to bloom. 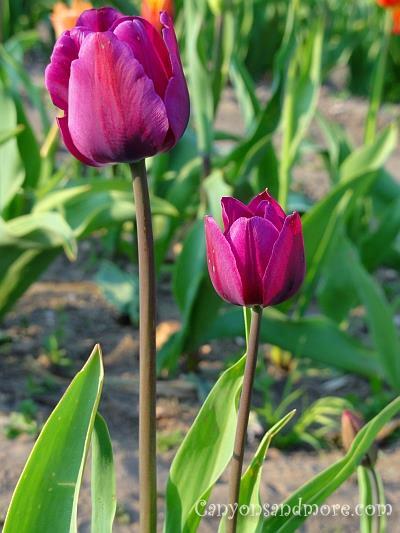 It is the time of awakening and color and nothing says spring more than tulips. Tulips add so much color to the yard which is a blessing after such a long, dark and cold winter. Just looking at them grow is amazing. When the temperature is warm enough it just seems to take only a day for the bud to be in full bloom and already a couple of days later, the flower starts to lose its petals. We are fortunate to have tulip fields near where we live. Each year you can go there and choose and cut your own fresh flowers for a small fee. 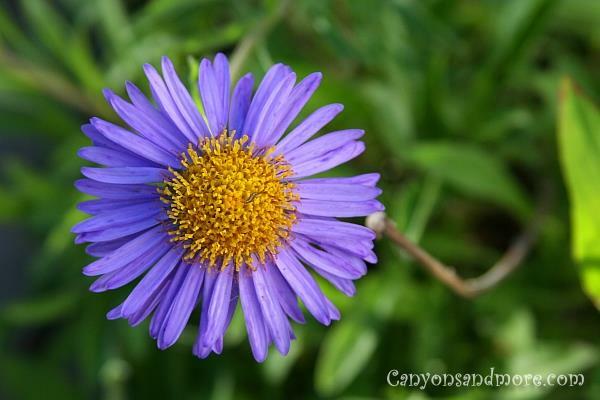 These are just as pretty as the white daisies.If you look closely at this image, you will see a little worm on the center yellow area of the flower. 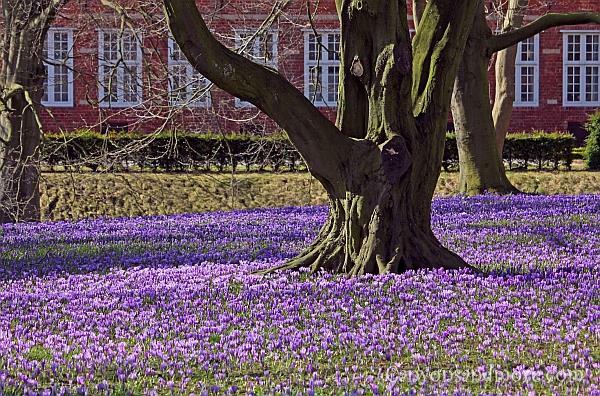 The Crocus Festival in Husum, Germany is festival is a highlight for anyone visiting the country in the spring. Husum is a town and the county seat of the county of Nordfriesland, which is located on the on the Northwest coast of Germany on the North Sea. The town has an attractive harbour area with a lot of shops and cafes. The whole ground is a blanket of millions of purple crocus flowers. What a sight to see. Annualy on one weekend in March there are festivities such as the crowning of the crocus queen and a handcraft market for those wishing to sell handmade items such as pottery, leather goods and other specialties. 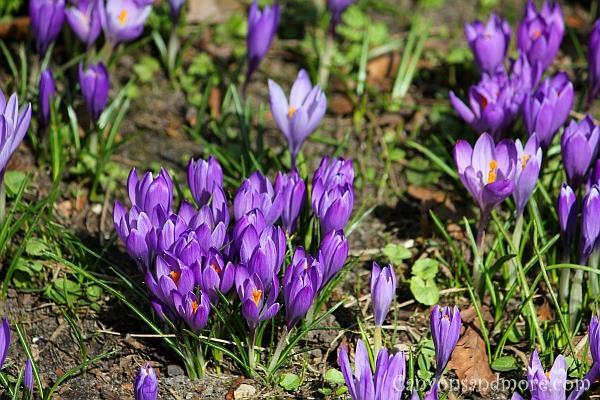 If you are lucky, the sun will be shining and the crocus flowers look like a carpet of blooms around the castle. The year 2011 turned out to be such a year. With chilly temperatures but a warming sun, tourists were able to see the over 4 million blooms at their best. The festival occured on the 23rd and 24th of March in the year 2013. This is a close-up image of just a few of the millions of crocus flowers found on the castle grounds at the Crocus Festival in Husum. Even if you never make it to the Provence in France to see the most gorgeous lavender fields known in the world, you can bring a bit of that beauty to your own garden by planting lavender bushes of your own. 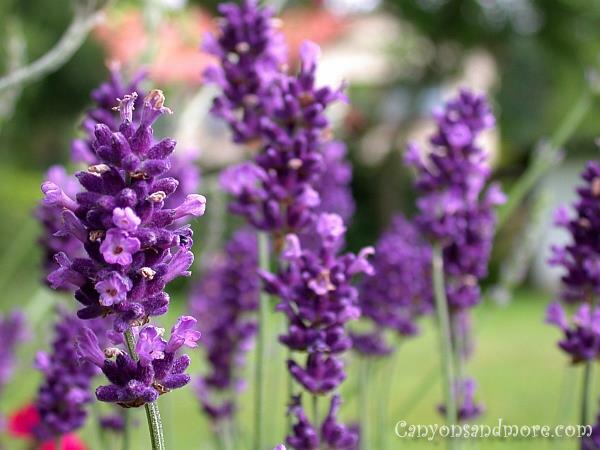 Lavender has a sweet aroma to it and is not only lovely to look at. It can also be used to fill little sachets to place in your drawers and closets to keep the moths away and to add a parfume like scent to them as well.